The ghost of Steve Ballmer is still haunting Microsoft. But his successor is working hard to exorcise Ballmer's spirit. By all reasonable measures, Nadella is succeeding. Simply put, Satya Nadella looks like the real deal. Eighteen months after Ballmer left to run a basketball team, Nadella is making the hard choices that Ballmer refused to make. The Nokia acquisition was a multi-billion-dollar mistake. Unwinding it financially torpedoed Microsoft’s last quarter and cost thousands of jobs. Nonetheless, it had to happen -- and Nadella did it. Windows 8, dubbed Windows Frankenstein by my InfoWorld colleague J. Peter Bruzzese, was another awful Ballmer mistake. But Nadella has shepherded Windows 10 out the door and presided over Microsoft’s most successful product launch in years. Sure, we have yet to know what will happen when enterprises begin to deploy it, and other issues should certainly cause you to hold off deploying Windows 10. But from the mainstream consumer point of view, Windows 10 looks like a double or a triple, if not a home run. Shortly after he took the job, Nadella stuck a foot deeply into his mouth with an ill-considered, and frankly stupid, remark to the effect that women shouldn’t ask for raises. Last month, though, Microsoft said it will expand fully paid maternity and paternity leave to 12 weeks for corporate employees in the United States. That's up from its previous parental leave policy, which provided four paid weeks and eight unpaid weeks. Other tech companies have done better, but it’s a big step in the right direction, and I’d say Nadella has made up for his early gaffe. I hate layoffs and so-called right-sizing, but there was simply no way that the acquisition of Nokia’s mobile phone business was going to work. Ballmer envisioned it as a way to make Microsoft more competitive in a market dominated by Apple, Google, and Samsung. But Nokia was the wrong platform and Microsoft’s flawed Windows Phone mobile operating system wasn’t going to make it any better. Instead of rethinking his strategy, Ballmer doubled down, and as a result Nadella has to clean up the mess and take a $7.6 billion write-down. Even worse, Microsoft is laying off an additional 7,600 employees, which will bring the total of Nokia-related job losses to about 25,000. That blood is on Ballmer’s hands, but to be fair, Nokia was in trouble before the acquisition, which is why the Finnish company took Microsoft's money and ran. There’s no way to know what the fate of those workers would have been if Microsoft had not thrown $9.5 billion (less Nokia’s $1.5 billion cash in hand) at the phone maker. But we do know Finnish workers alone didn't take the hit -- Microsoft’s shareholders had to bite it as well. 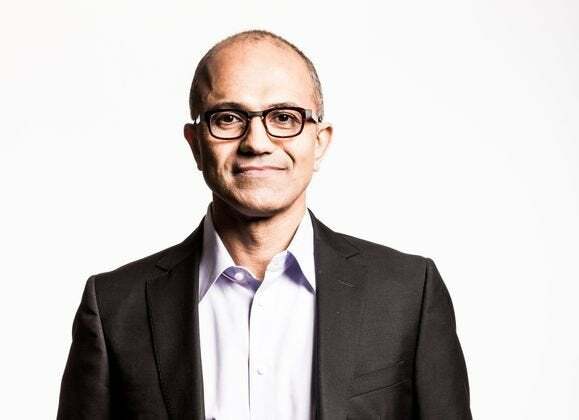 It was easier for Nadella to admit to a corporate mistake he reportedly opposed than for Ballmer to do so, but the new CEO deserves credit for unwinding a wrongheaded and expensive mistake. Now that Nokia is gone, the real test for Nadella is the creation and execution of a winning mobile strategy, which has eluded Microsoft for years. There’s no reason to beat on the dead horse that is Windows 8. Microsoft is in do-over mode, and although Windows 10 wasn’t conceived on Nadella’s watch, he made sure it launched on time. By making it a free upgrade, he’s done much to speed adoption. According to a blog post from Microsoft, 14 million computers were running Windows 10 a mere 24 hours after the new operating system was released. Windows 10 already accounts for more than 3.5 percent of desktop operating systems, up from a little less than 1.4 percent the week before (it had been widely available in a preview version), according to StatCounter, which measures market share by counting the prevalence of operating systems hitting Web servers. The gain in share, reported this week by The Register, came largely at the expense of Windows 8.1. Keeping Windows 10 free for a year will cost Microsoft significant revenue, but given the distaste for Windows 8 by users, developers, manufacturers, and the press, the no-cost upgrade was absolutely necessary. A lot has been written about why the proportion of women working in tech and venture capital investments in woman-run firms are both still so low. There’s of course the bro culture, the out-and-out sexism detailed in the Ellen Pao suit against Kleiner Perkins, and a host of 1950s-type ideas about women in the workforce. Attitudes can’t be changed by corporate or government fiat, but working conditions can be. The United States is one of the very few developed countries in the world that doesn’t by law grant paid time off for working women who are new mothers. Men deserve time off too, but the lack of provisions for new mothers keeps women out of the tech workforce and contributes to very high turnover when they have babies. In recent months, Adobe, Netflix, and now Microsoft have liberalized maternity and paternity leave policies. It’s the right thing to do, and even if Microsoft’s policy doesn’t entirely measure up, adding eight weeks to paid time off for child rearing is a significant step. It’s a credit to Nadella’s leadership that it happened on his watch. I’m not minimizing the challenges Nadella faces. They are legion. But now that Ballmer’s ghost is no longer haunting the halls of Redmond, Nadella has a chance to yank Microsoft out of its PC-centric past and build a modern company.